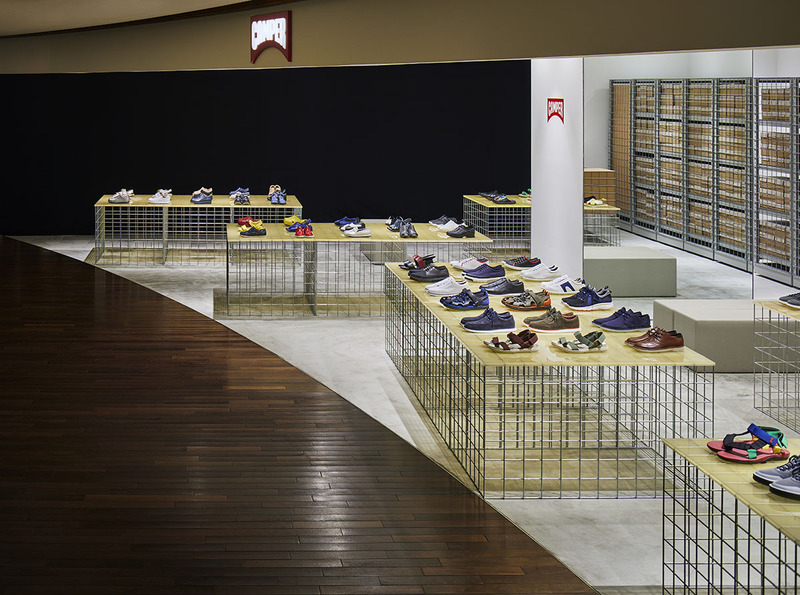 In this project, we located the stockroom consisting of movable racks directly facing the sales area, in order to minimize the distance between the two and reduce the waiting time of customers as much as possible. 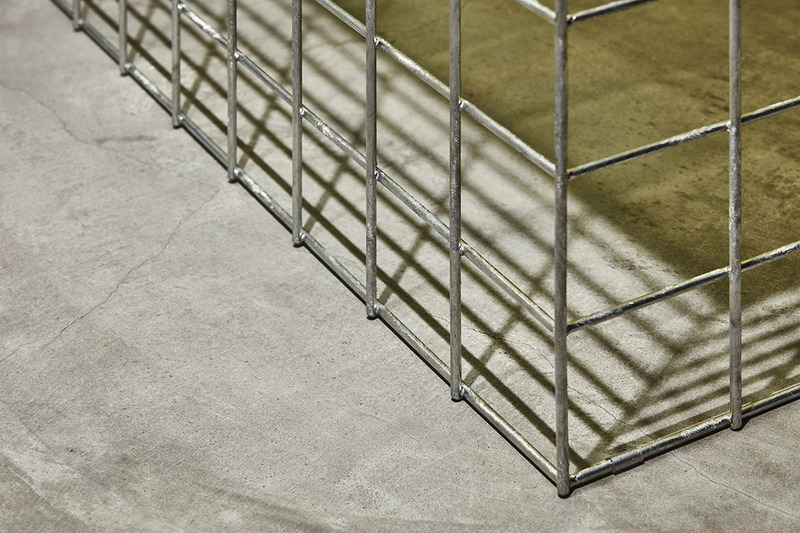 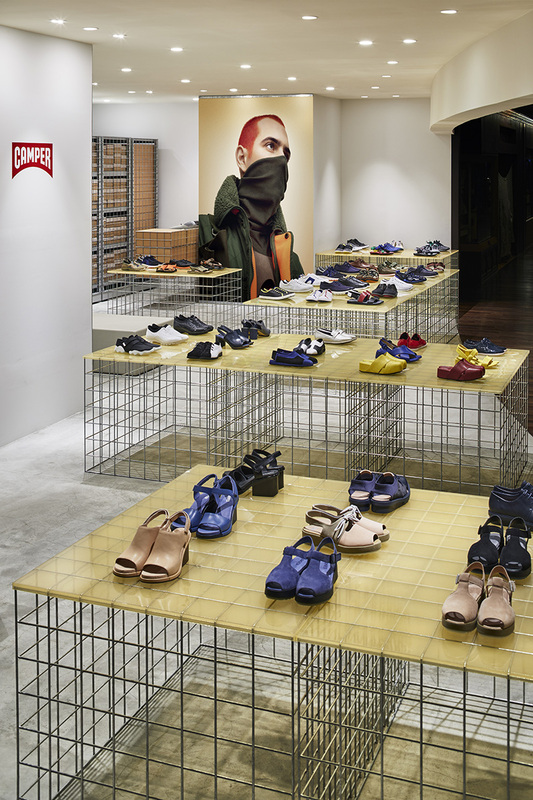 We chose steel mesh for the stockroom in order to create a see-through background highlighting movements of the store staffs and also create a sense of depth to visually maximize the small store volume. 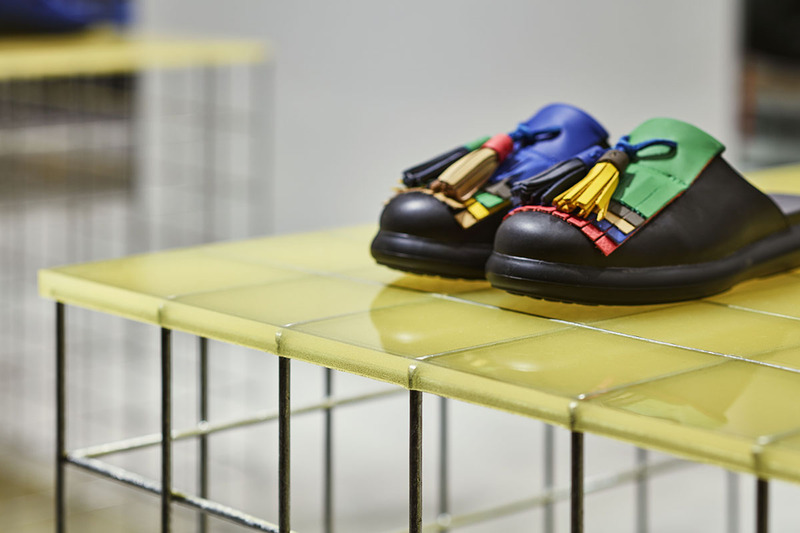 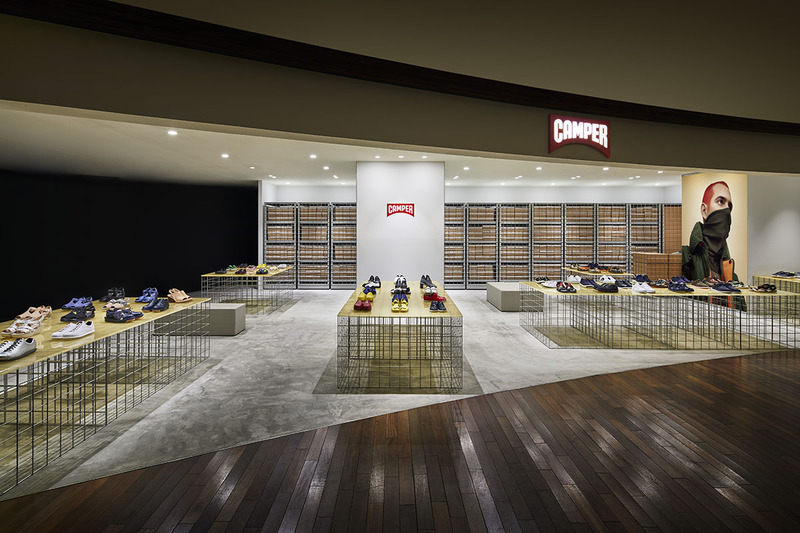 We intended to create a background for products composed of materials evoking a feeling of everyday life, so that customers can see and feel the products while imagining the everyday use. 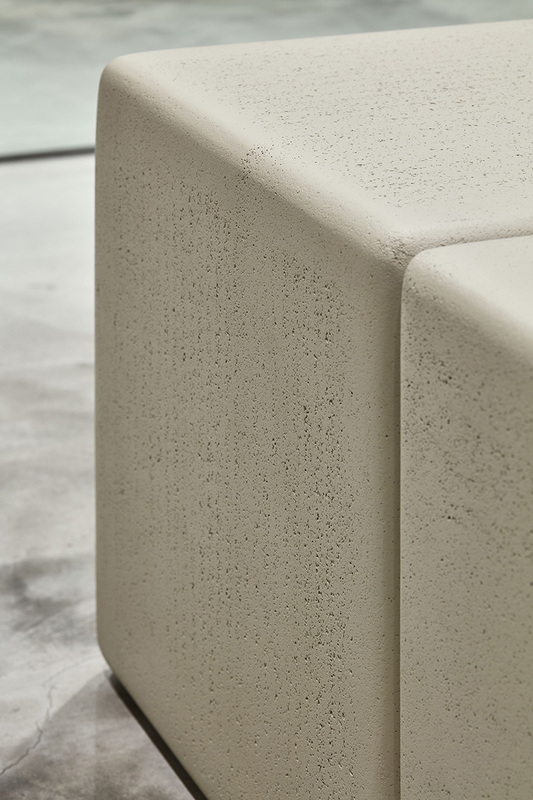 The overall material palette is composed of matte and industrial materials. 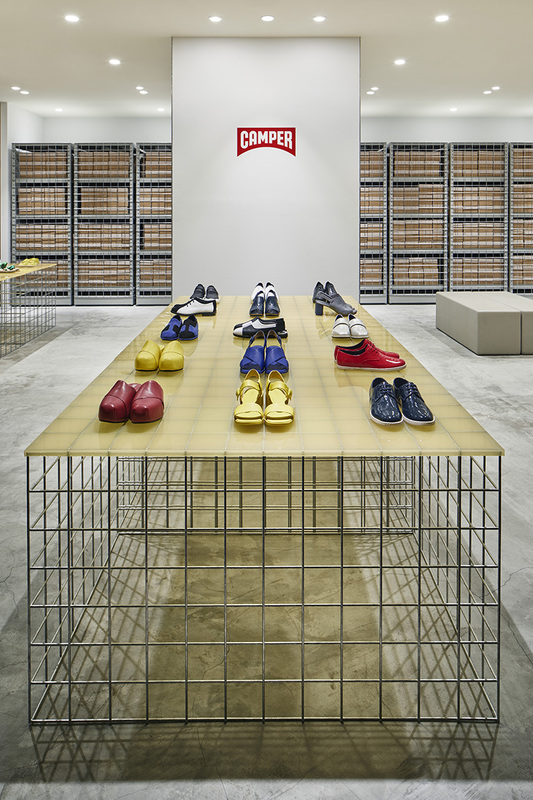 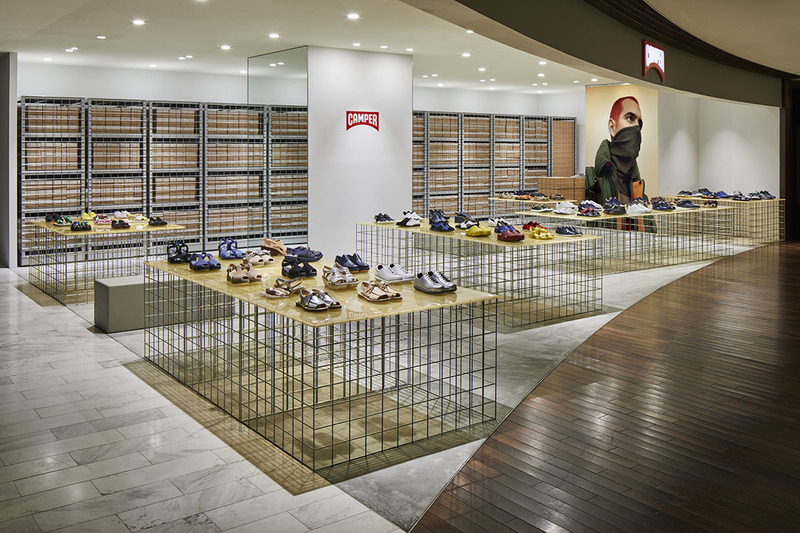 Urethane rubber and MDF board were chosen to match the color of the shoe boxes, while galvanized steel and dyed cork were chosen to match the concrete floor.